When Hurricane Sandy hit the East Coast of the US last October, Airbnb and its community of hosts acted fast to help out many distraught victims caught up in the disaster. Responding to its members’ generosity, the folks behind the apartment rental service tweaked its website to make it easier for thousands of New York-based hosts to open their spaces for free to people desperately in need of a place to stay during the crisis (see the video below). Inspired by the positive response to its emergency housing initiative, web-based Airbnb decided to spend time working on implementing a more effective solution for such occasions, the result of which was announced Tuesday. – allow local residents with extra space to host those in need. – allow existing hosts to donate their rooms for free to those in need. 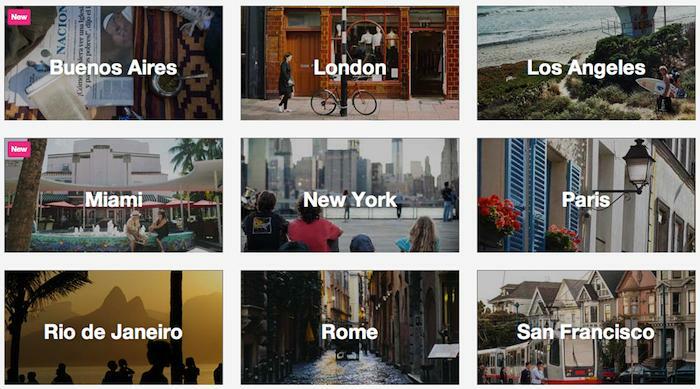 – make all Airbnb bookings in areas affected by a natural disaster fee-free. – email hosts in the affected area, asking them if they are able to help. – connect guests to hosts that have space to offer in the affected area via a dynamic landing page. – provide Airbnb’s 24/7 customer support, Trust & Safety tools, Host Guarantee and other services regularly available to Airbnb hosts. – provide general disaster response information to guests and hosts. Blecharczyk said in a blog post unveiling the new tool that Airbnb had worked with a range of experts in the course of its creation, including San Francisco’s Department of Emergency Management, and design and innovation firm IDEO. The Airbnb co-founder added that in order to maximize its effectiveness, the Disaster Response tool has been designed in such a way that it can be activated anywhere in the world in 30 minutes or less. It’s a great move by Airbnb, who following Hurricane Sandy realized – thanks to the thoughtfulness of its users – that its site could be so much more than just a straightforward web-based apartment rental service.